All skeleton key mortise sets will have a key hole on the backplate (may not be shown in image). Nostalgic Warehouse reproduction skeleton key mortise locks are a great antique door knob replacement. The mortise box replaces most vintage skeleton key boxes found in older homes. Customize your waldorf knob with multiple finishes above. Note: If your door is not prepped for a skeleton key type mortise lock box, these door knobs will not fit. These antique reproduction knob sets are meant to replace old worn out skeleton key lock boxes or you can prep new doors for the mortise box for that vintage feel. Don't settle for cheap immitations. Replace your rusty old locks with our high quality, English-made version. You'll be thrilled with the quality of these exquisite reproductions. 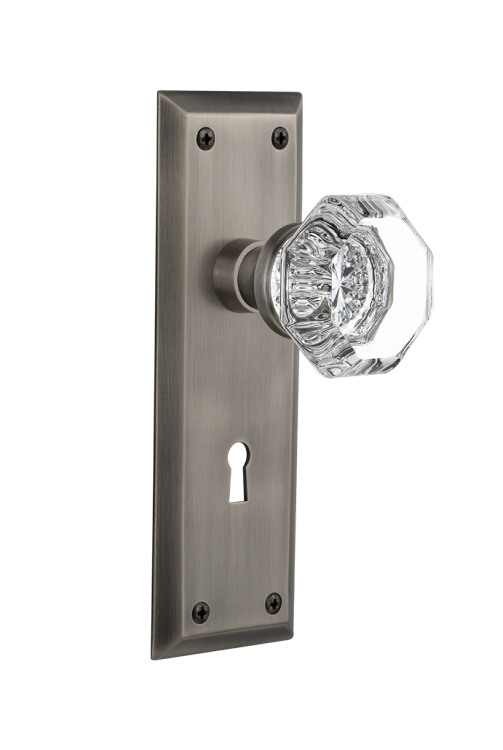 All of our mortise locks are keyed alike. Body: W- 3" H - 4" Thickness - 9/16". Face 7/8" x 6"/ 2 1/4"backset. 2 1/4" C/C knob spindle to keyhole. 8mm spindle hole is on the square. 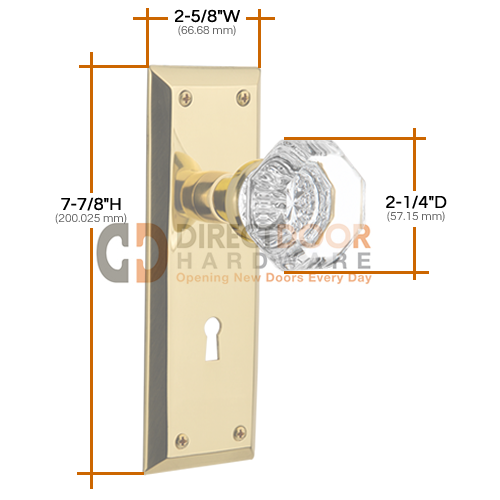 - Dimensions: Knob: 2.1" x 2.1" -Plate: 7" x 2.25"
These skeleton key locks are not recommended for use on exterior doors. 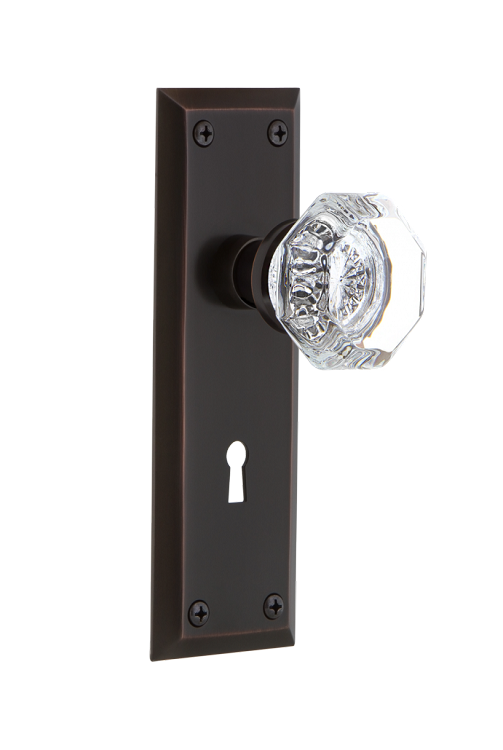 For keyed entry doors we recommend using a passage function knob in conjunction with a Nostalgic Warehouse Deadbolt above. Crystal or porcelain knobsets are not recommended for exterior use and are not covered under warranty if used for that purpose. This reproduction antique knobset with mortise lock box will not fit doors prepped for standard tubular latches. 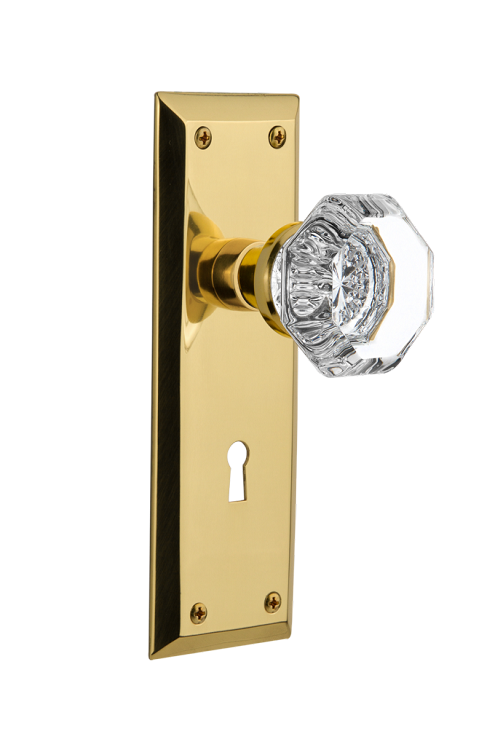 If you need a tubular latch set, see New York Plate with Waldorf Knob. Nostalgic Warehouse warrants its products to be free from defects in materials and workmanship. This warranty is extended to the original user of Nostalgic Warehouse products as long as the User occupies the residential premises on which the Products were originally installed. For more information see the complete Nostalgic Warehouse Warranty. 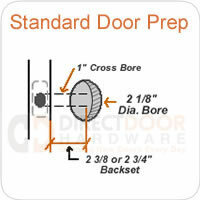 Nostalgic Warehouse door hardware is assembled custom to fill your order. As a result there is a 25% restock fee assessed on all orders because the items have to be disassembled upon return. Nostalgic Warehouse Returns must be made within 30 days of the original purchase. Please contact us before return.